Congratulations to the winner of our photo of the month contest, Down By the River Bed and Breakfast from St.David, Arizona! 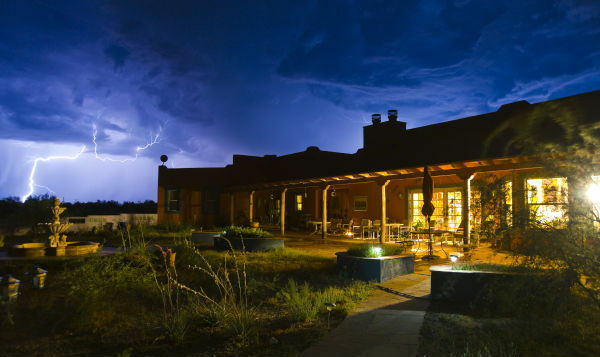 According to innkeeper Mike Hug, the photo was taken during a monsoon by a regular visitor to the inn who has been coming to take photos and videos during the height of monsoon season since 2008. Thank you to everyone who entered, there were many incredible submissions and it was a tough decision. You can see all of the submissions on our facebook page. We will be having more fun contests like this in the future, so be sure to check your inbox for our monthly newsletter where we will be announcing them. If you aren't subscribed to our monthly innkeeper newsletter, you can e-mail us at [email protected] or sign-up on our homepage.